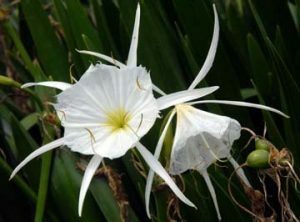 You will see the beautiful Cahaba lilies first hand in their natural setting. These are rigorous outings that require wading and dragging a canoe over shallow rocky shoals. When very low water conditions occur, we alter the trip so we still see the lilies and enjoy the river, but we avoid a difficult hike down the riverbed. These are our most popular outings, so call soon to reserve your canoe. 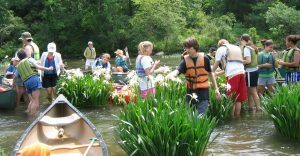 Guided Canoe Trip: Cahaba Lily Tour IV–RESERVATIONS FULL!